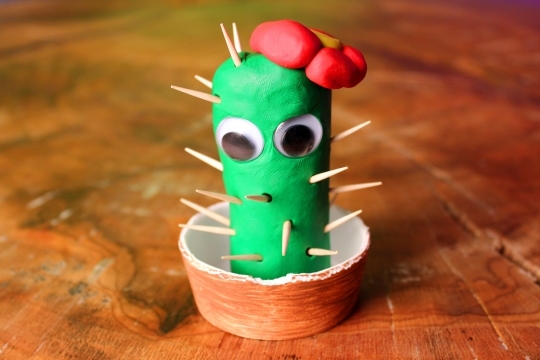 Mold clay into a prickly cactus. 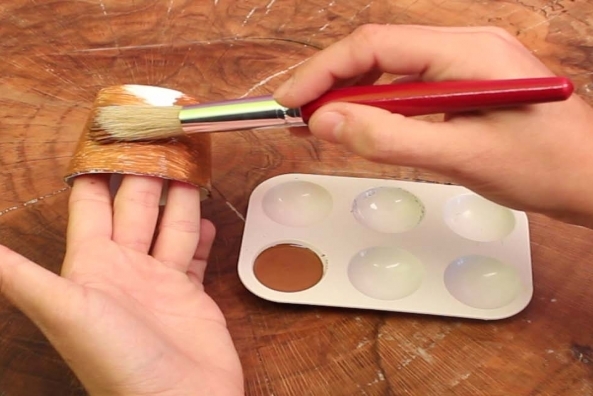 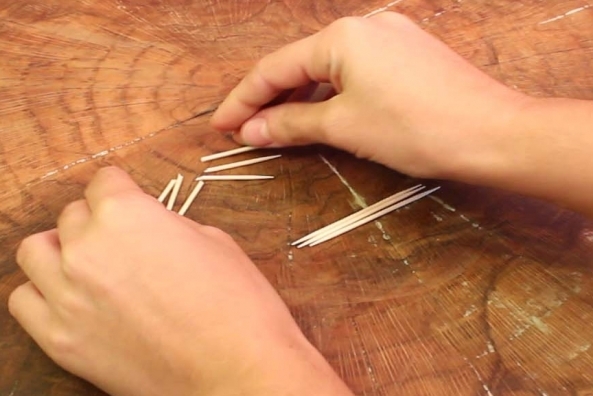 Add toothpicks to make it look just like one! 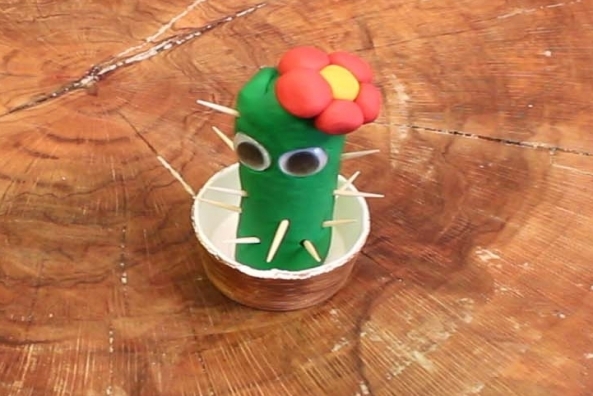 Learn about one of the most amazing types of plants in our world- a plant that survives AND thrives in a desert! 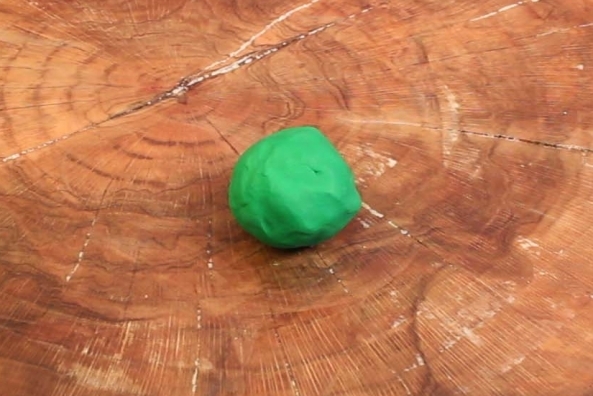 Work green clay into a ball. 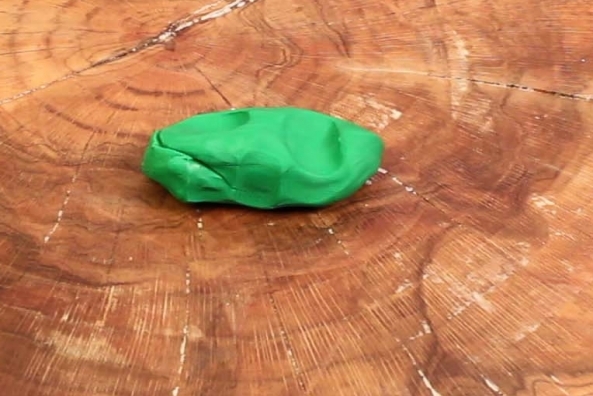 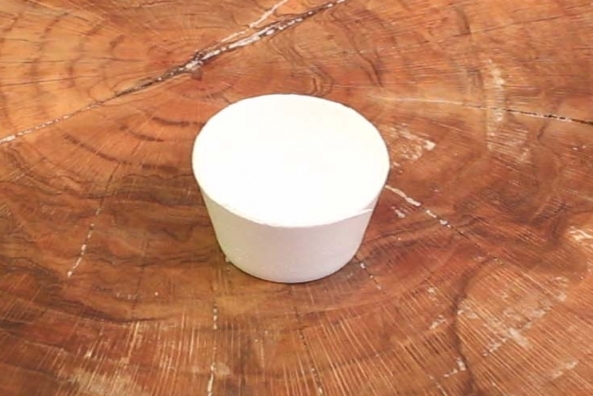 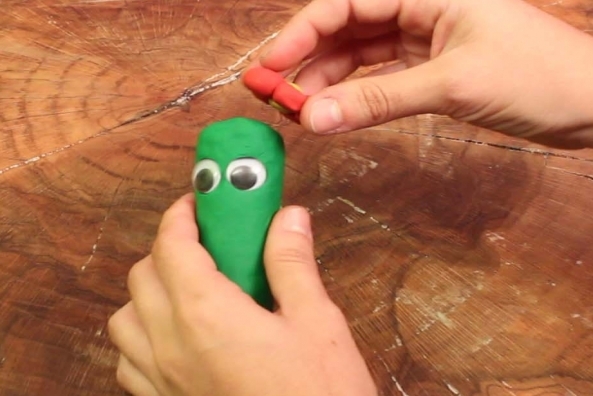 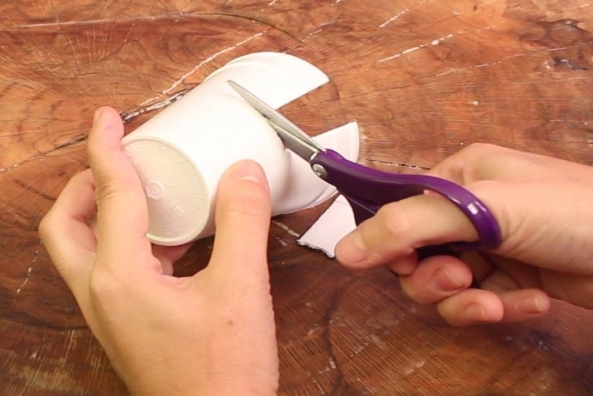 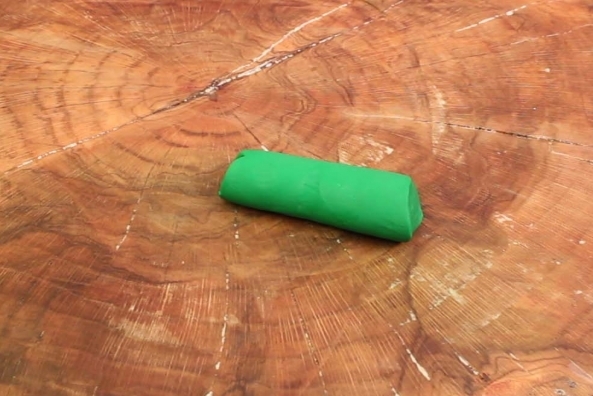 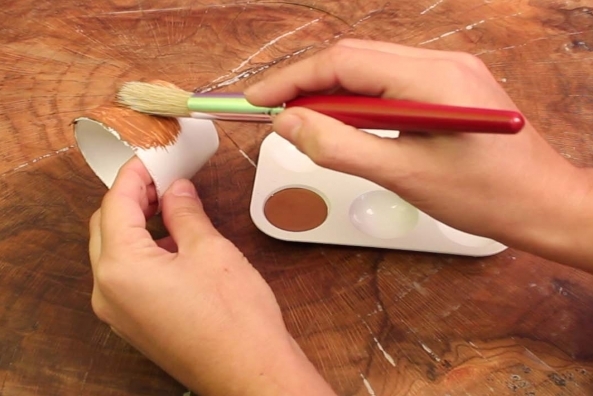 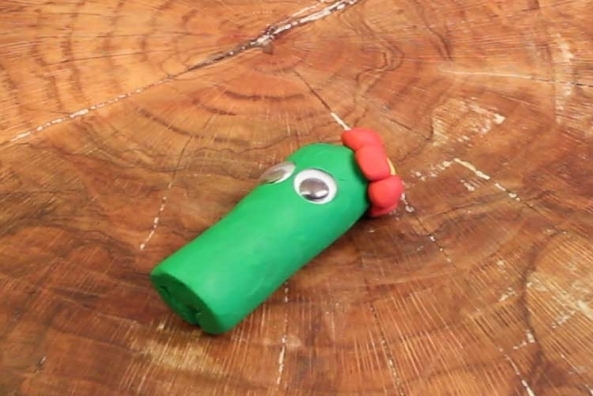 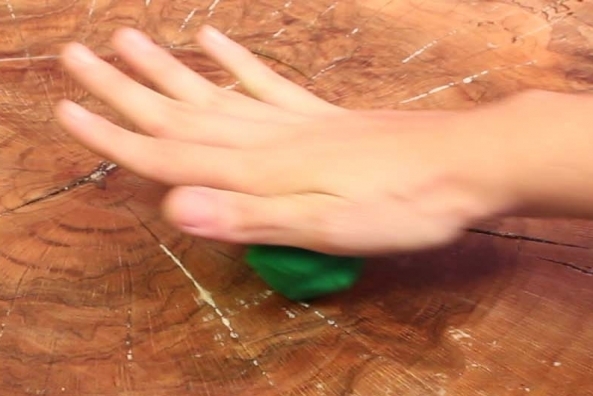 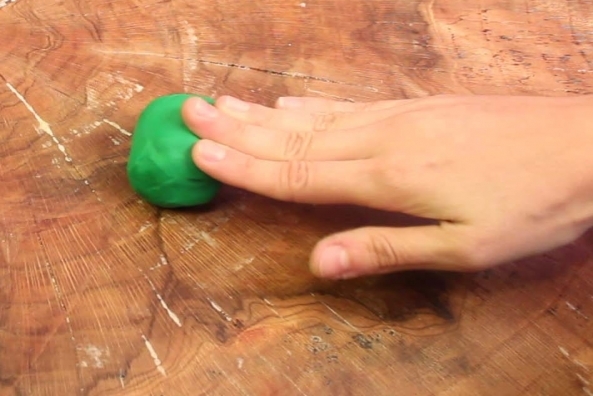 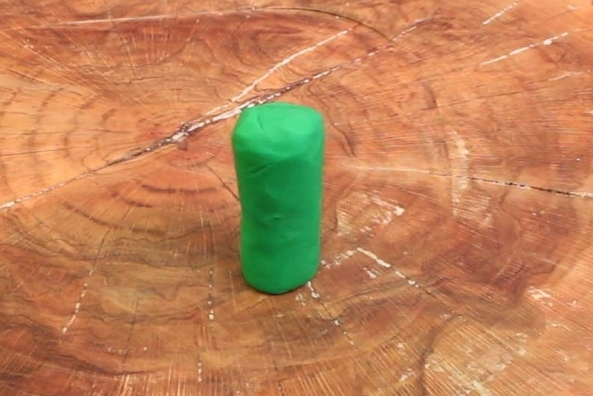 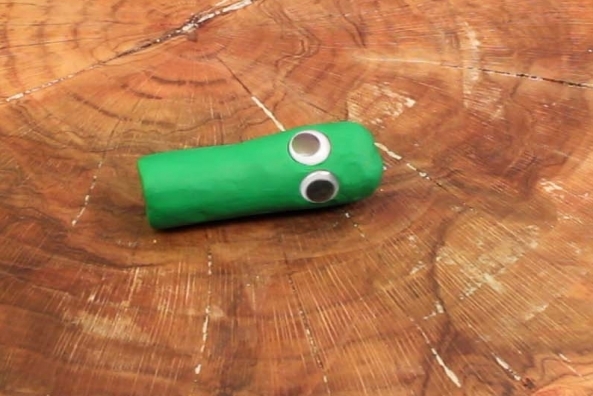 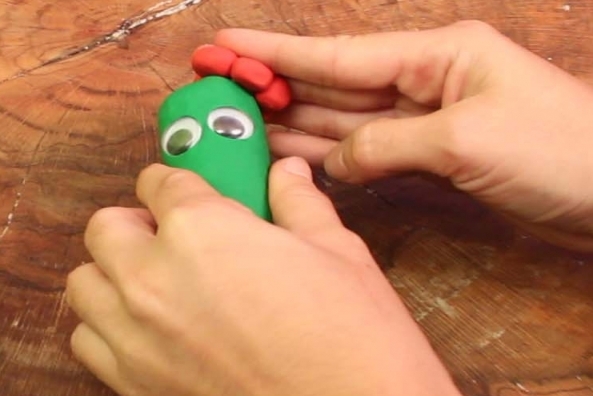 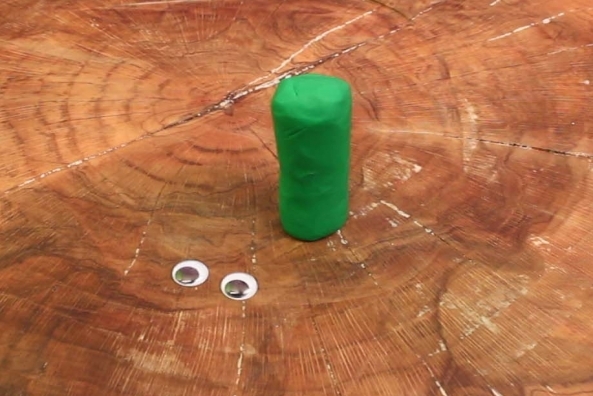 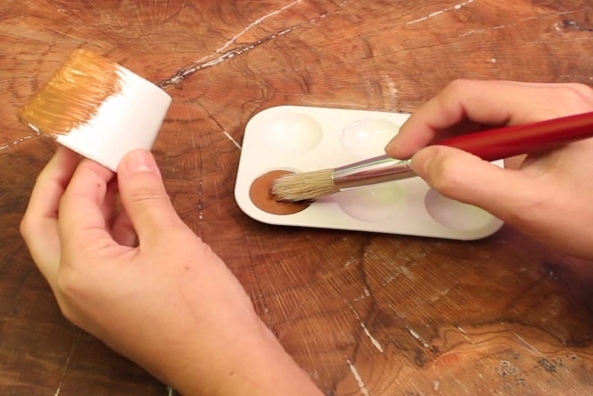 Roll a piece of green molding clay into a sphere. 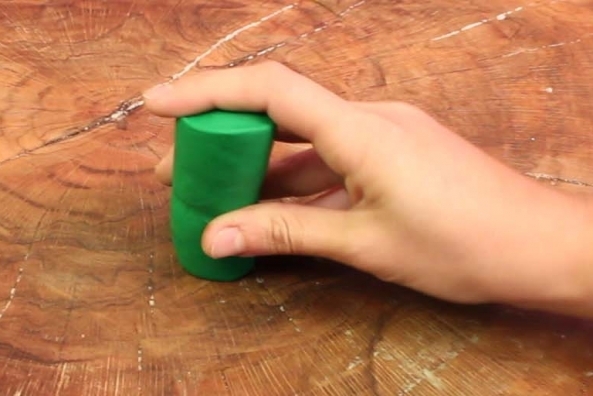 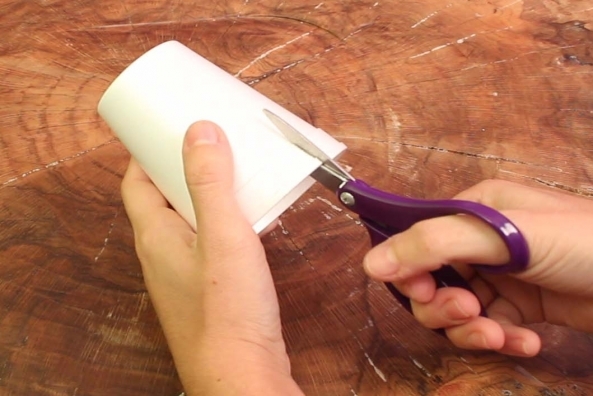 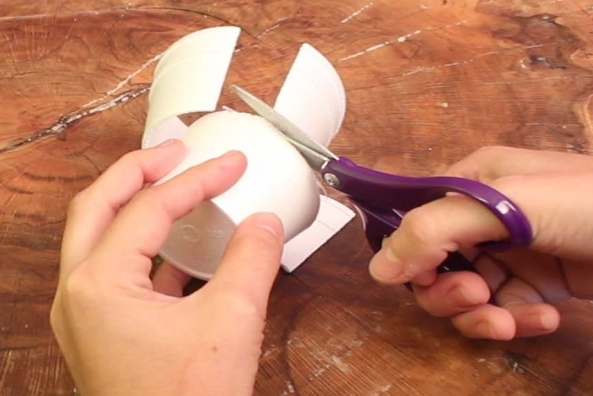 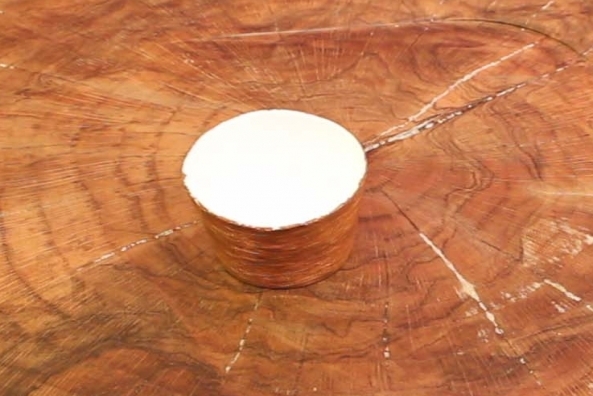 Roll the circle back and forth in the same directions until you have a stretched sphere. 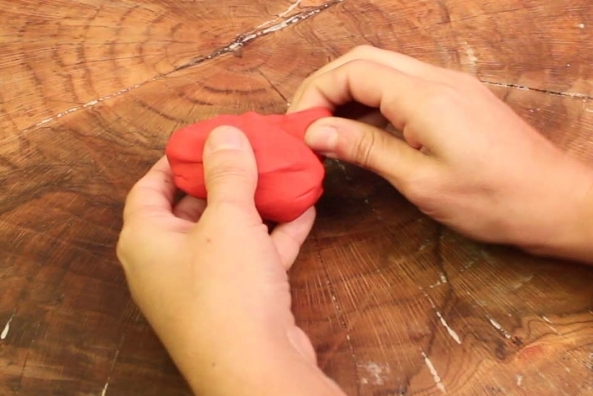 Flatten one end to make the stretched sphere stand. 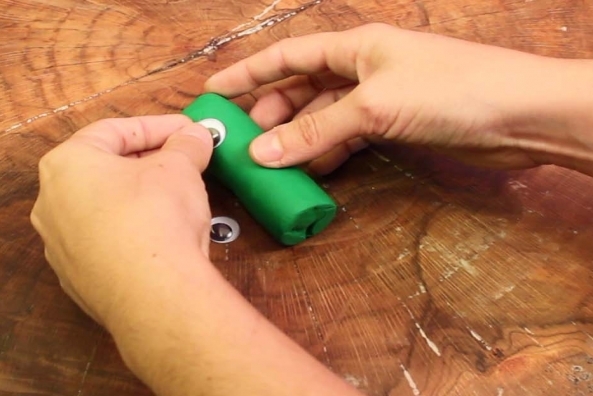 Glue or press two wiggle eyes. 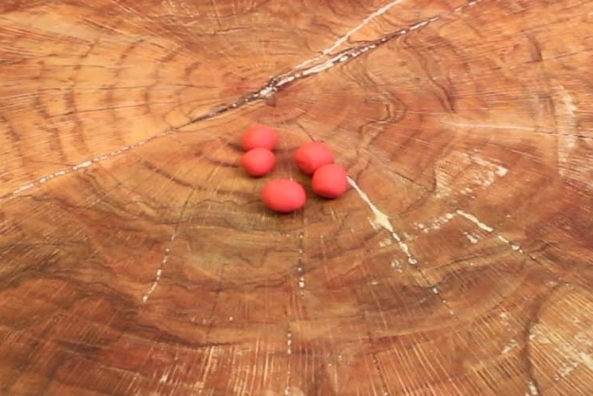 Roll tiny balls with red. 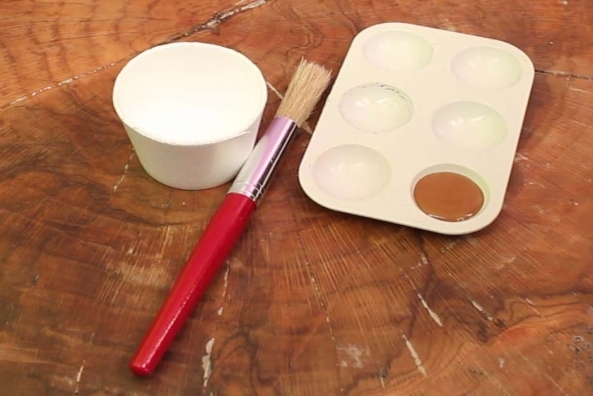 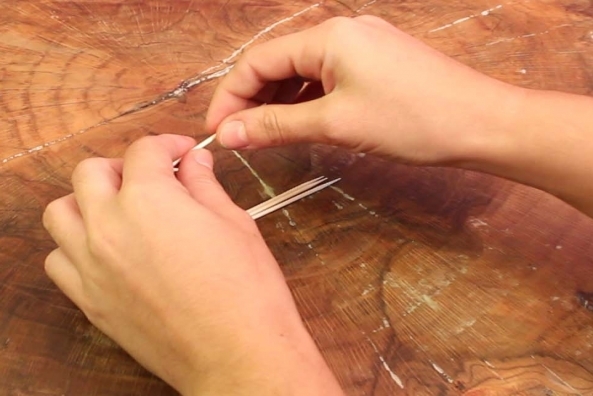 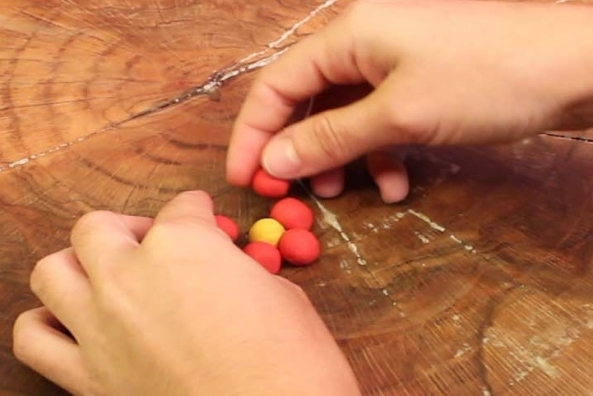 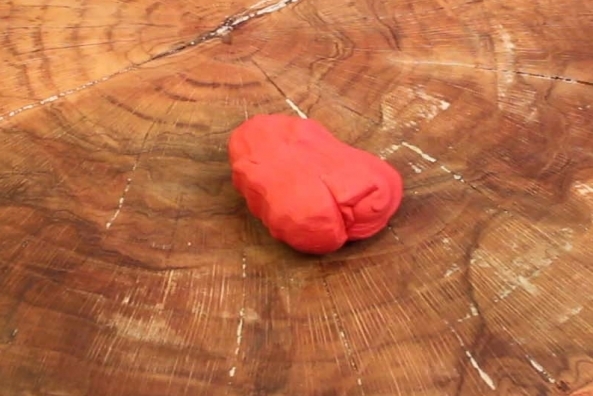 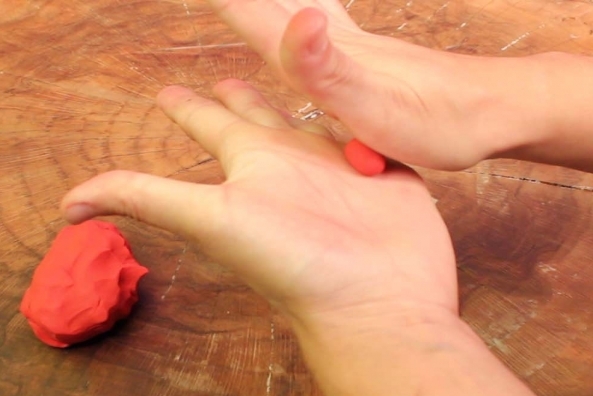 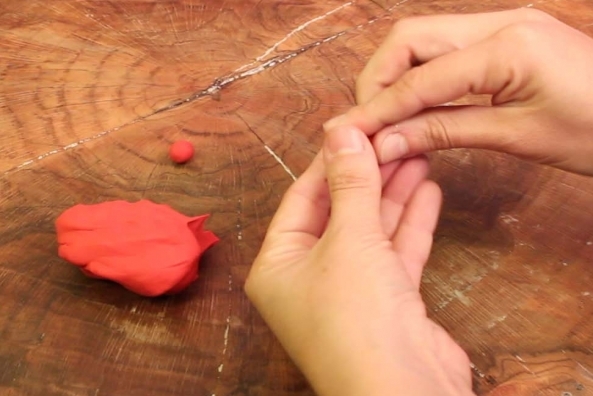 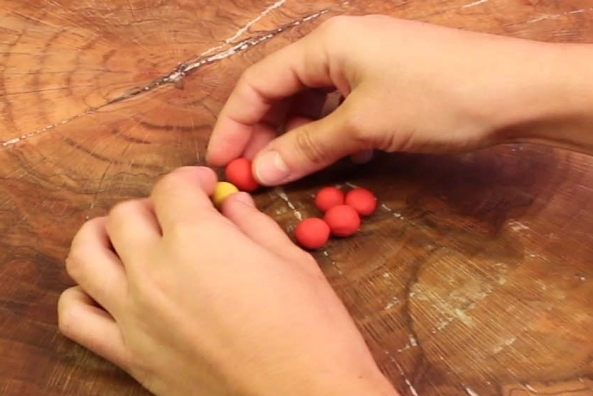 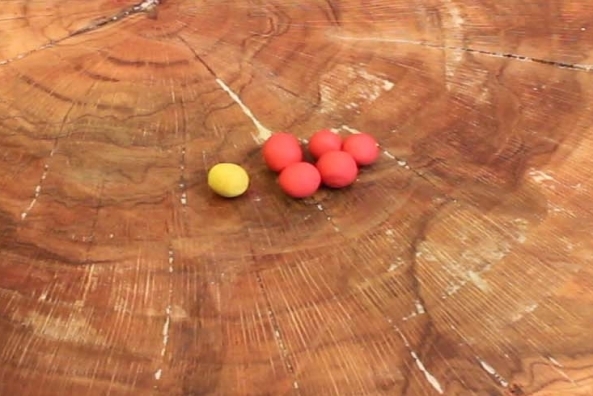 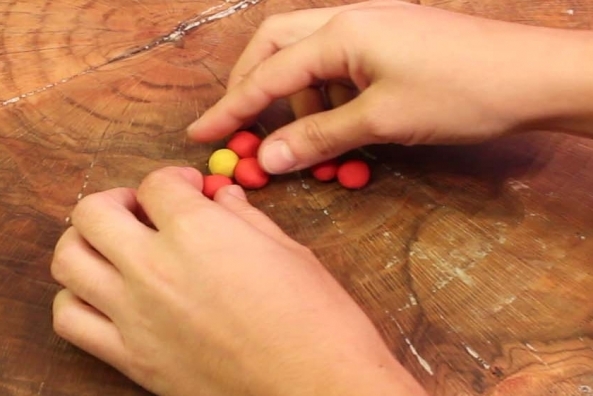 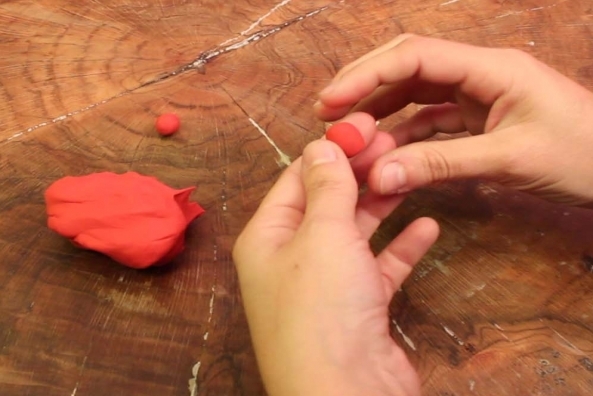 Make 5 tiny balls from a piece of red clay. 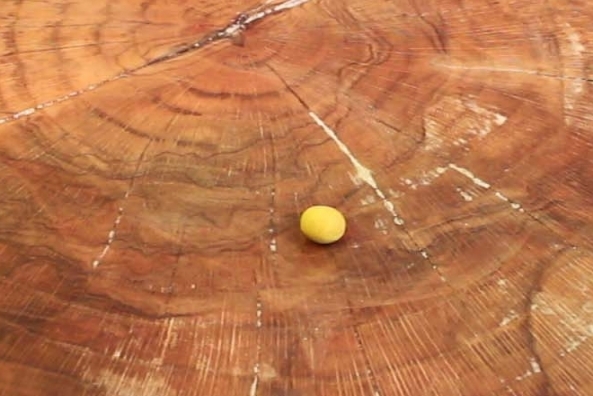 Roll a ball with yellow. 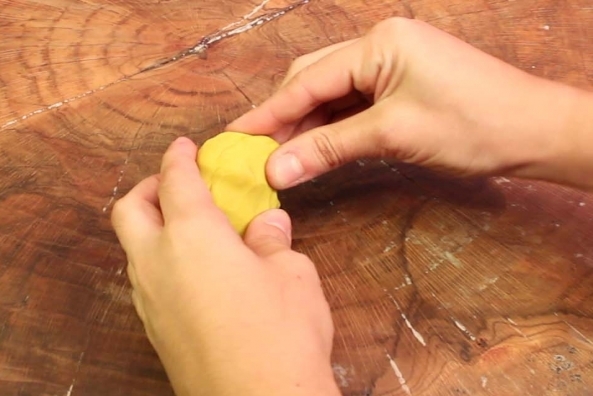 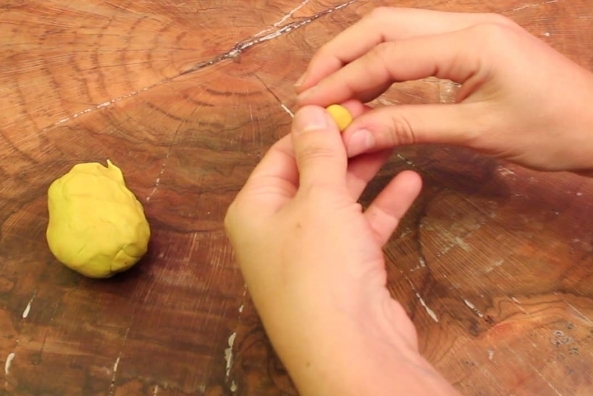 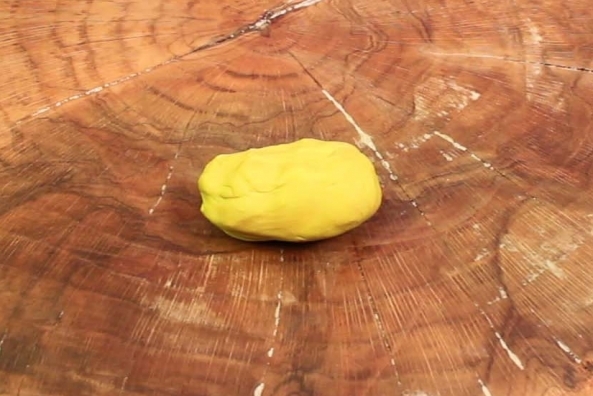 Make one tiny ball from a piece of yellow clay. 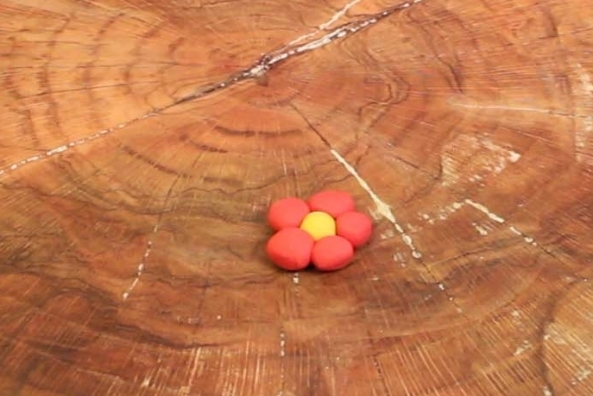 Press the red balls around the yellow ball to make a flower. 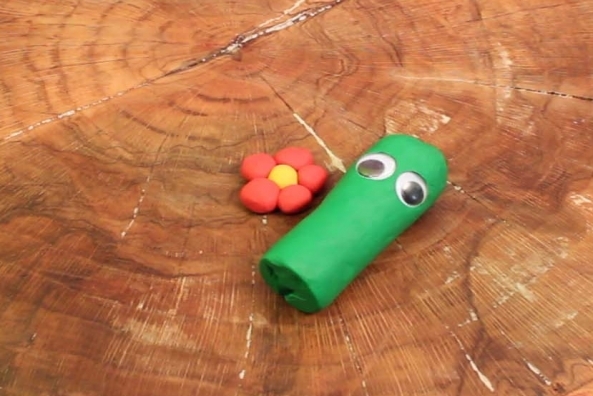 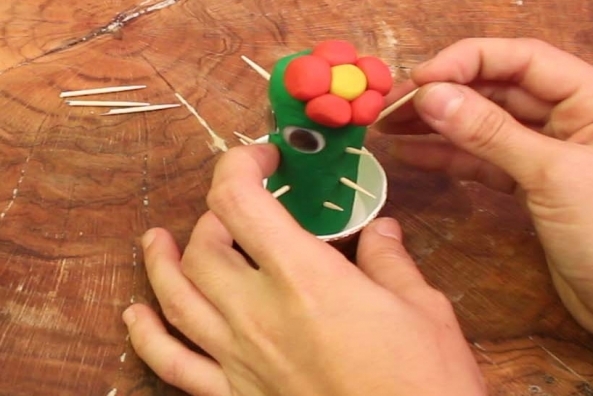 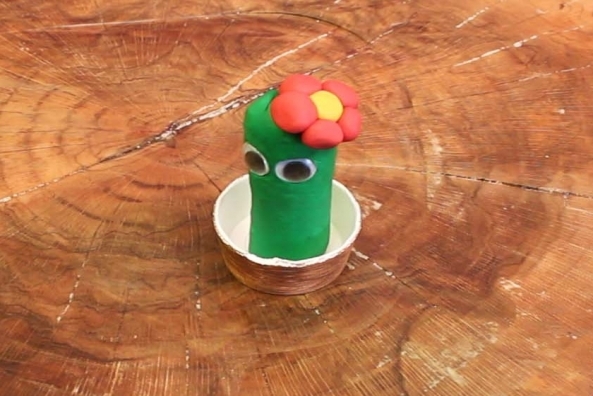 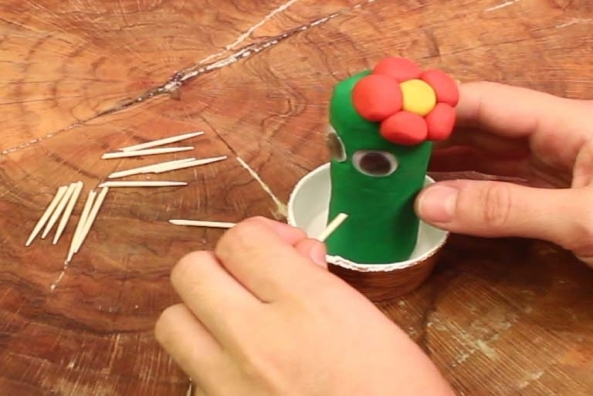 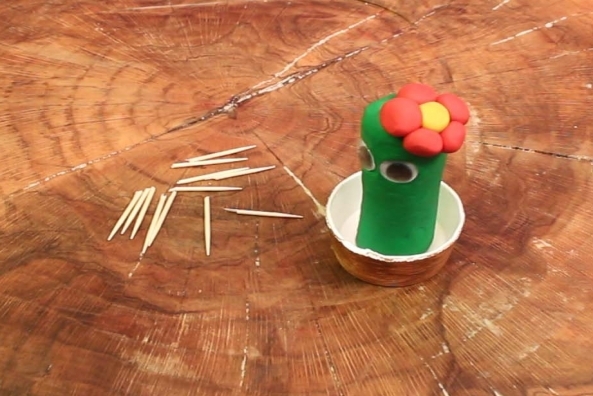 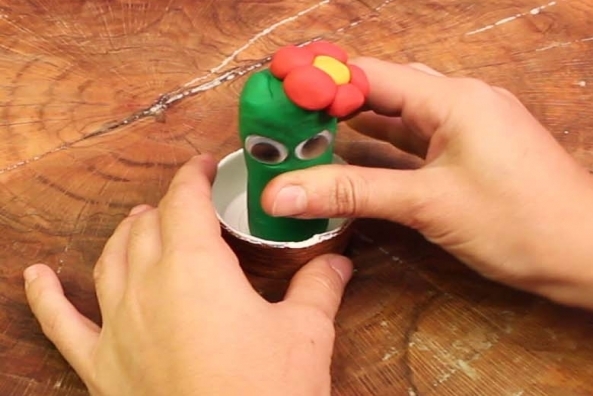 Glue or press the flower onto the top of you green clay. 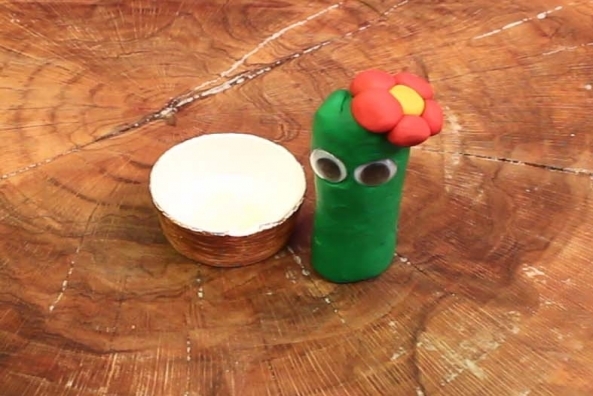 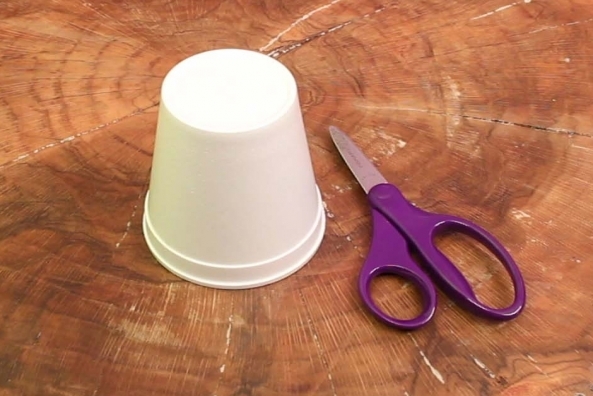 Place the cactus into the brown cup. 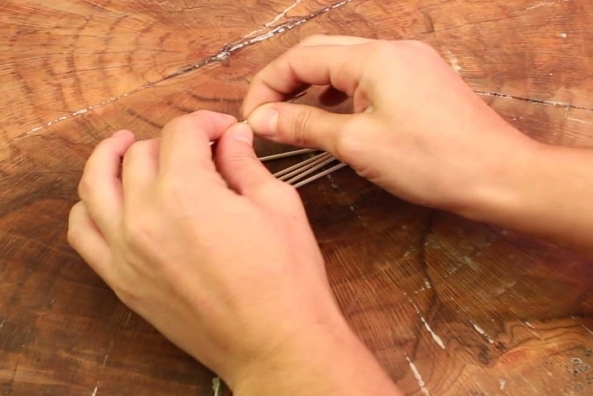 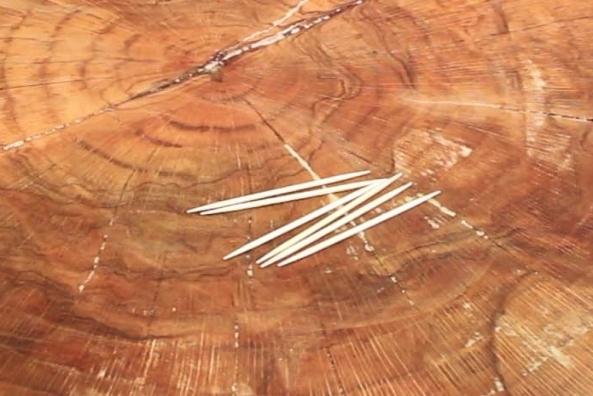 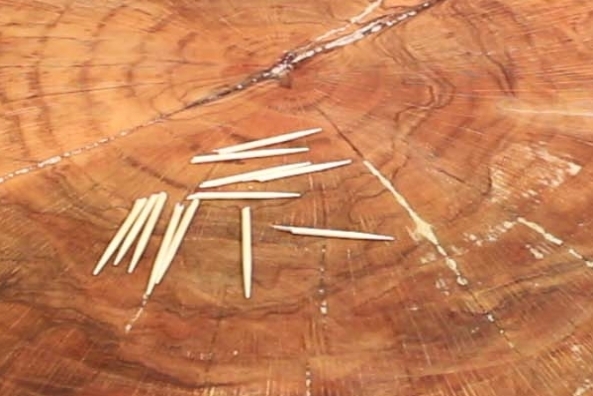 Break around 6 tooth picks in half, carefully. 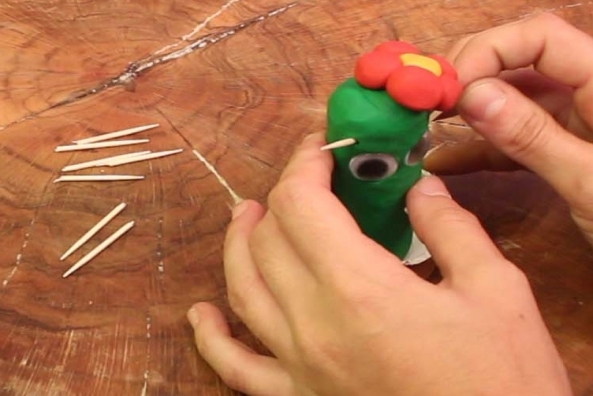 Stick the tooth picks into the cactus and let everything dry completely.